This Scandinavian “UFF-DA” game is a numbers matching card game. It is perfect party entertainment for friends and family, ages 7 and up. It uses the word “UFF-DA!” as an out-loud declaration that a player is at their last card and about to win the round and possibly the game. 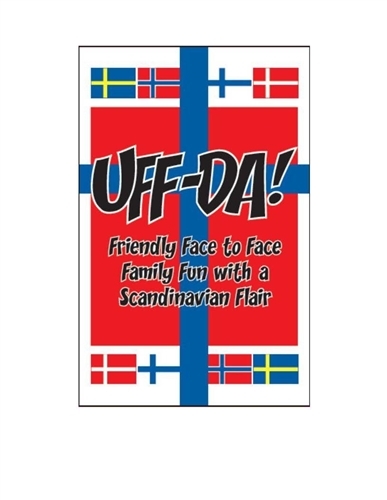 A penalty card can be applied to a player that does not declare “UFF-DA” at their last card, if they are caught before the next player's turn is over. This small, light weight game is ideal for family travel. It is a highly competitive and strategically challenging card game. 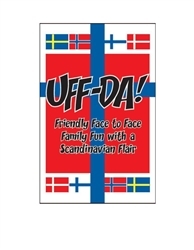 UFF-DA is hi-spirited entertainment with rival interactions that motivates player competition throughout the entire game. The bonus point’s increase by 5 for each round, and they keep most players in the hunt for the WIN right up to the 10th and final round! This unique UFF-DA card game with penalty card exchanges, progressive bonus points and terminated rounds creates the most intensely competitive and strategically challenging card game on the market today.